With all horseracing eyes on The Kentucky Derby, the Grand Circuit’s focused stakes can only take co-starring roles. Still, this is our official start of the big season, including the launch of our exclusive information center, the Hambletonian Trail blog, where we provide analysis and picks for stakes involving Hambletonian and Hambletonian Oaks eligibles. 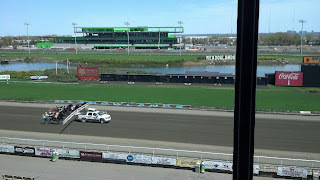 This blog will share its information with the “Trail” blog, so please bookmark them both or simply follow the link to be sure you are informed about great betting opportunities for the glamour boy and girl trotters of 2013 in all of the events leading to the classic on the first Saturday in August. Again this year, TwinSpires and the Hambletonian Society bring you the extended information. 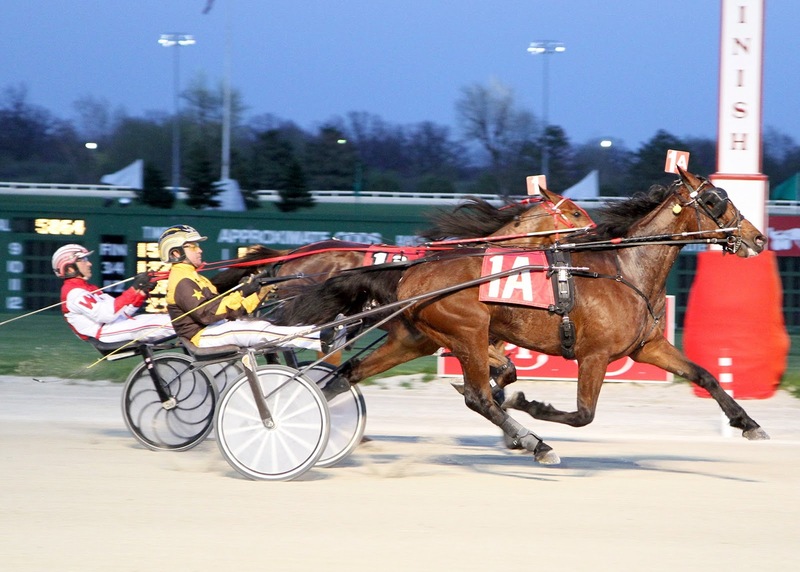 For the first time this season, TwinSpires’ exclusive harness horses to watch (H2W) list continues into the Grand Circuit season by popular demand. Read about the Dexter Cupand Lady Suffolk stakes at the Trail blog. 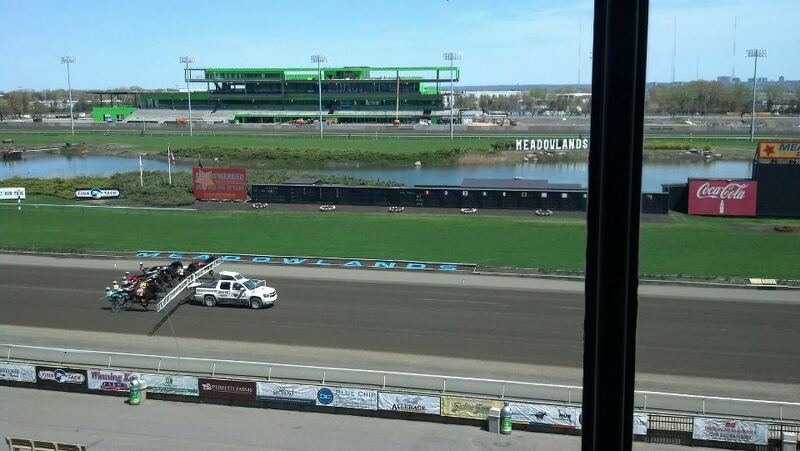 Here, we will cover the Grand Circuit Simpson Stakes for soph-colt pacers, as well as the “Maturity,” all at the Meadowlands, as well as we take a look at the Van Rose Memorial from Pocono Downs. Open trotters battle in the inaugural edition of the $100,000 Meadowlands Maturity, featuring some popular names from 2012 that fit the conditions for this four-year-old event. A trio of last year’s Hambo contenders, Guccio, Little Brown Fox and Uncle Peter, are here for the Jimmy Takter stable and once again they have to contend with the pacing-bred Googoo Gaagaa, who defeated them easily outside of the Hambo (which he could not race in, of course, since his sire is a pacer). Among the others in last season’s Trail mix are Solvato, Magic Tonight, Another Amaretto and My Mvp. Harbor Point and Modern Family join the fray. How this group presents itself as four-year-olds is still a mystery, since so much can change from a sophomore season to the next division, which is, overall, a mixed brew of ages. There will be few four-year-old-only events, so a lot is up in the air for this group. “Googoo” certainly took it easy with his qualifiers, and that may not have been the intention, according to trainer Richard Hans. This debut is important for the horse that had a severe breaking problem last season, which was the cause of most races he lost. As well, he wasn’t the trotter at season’s end that he was from the start. Perhaps Little Brown Fox can debut with sparks? He is still a small horse and if his gait is as smooth as it was at three he could be a terror against four-year-olds and up. We still feel that had he not ruined his Hambletonian elim he was the best of that division and should have gone all the way. The buzz horse is Daryl Bier’s Modern Family. Modern Family won his first four starts this season for his new teacher, Bier, including a 1:54.1 romp in a winter series at the Meadowlands. Bier purchased Modern Family, taking over from Tony Alagna, who sends My Mvp to his first challenge at four in this event. The glamour-boy pacers peek through the program at the Meadowlands with the Grand Circuit’s first Simpson Stakes of the season, worth $39,615. In essence, this is race poses a bit of a guessing game but is important to watch for the sake of future events in the division. Duel In The Sun is last year’s best earning frosh of these seven, with Johny Rock close to him on the list but both are deep in the top-50 earners, while the other five here are firmly untested. We are giving a good outside shot to Kenzie’s Beach Boy for trainer Joe Holloway. 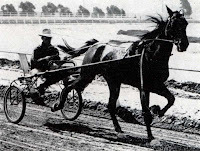 The conditioner came to fame for his work with the colt’s sire, Jenna’s Beach Boy, who was a dynamic pacer and three-time winner of a Breeders Crown event. Joe has already taken this guy to the post nine times, winning three, placing once and showing once. Since the two aforementioned top earners are making their debut, let’s bank on the fact that even if they wind up better in the long run, “Kenzie” gets the nod while they are still tuning up in their soph debuts. While the Run For The Roses dominates the thoroughbred world, the $50,000 Van Rose Memorial Invitational at Pocono Downs on May 4 brings together some of the sport’s top pacing free-for-allers. Among them is the popular star Golden Receiver, already six for seven this season, with a superior speed edge, especially with three turns instead of the two he has made his mark upon. From post 2 he will be very hard to dismiss. Versado will be gunning for him, though, and could be his downfall if you are suspecting an all-out duel. The biggest bargain, then, could be Fred And Ginger, who has faced the big “Gold” many times and is a veteran of this class. Should a duel surface, there could be a triple of some worth with Gold, “Fred” and Shoobee’s Place, who should do most of his pacing on the inside in those late steps that can be devoured on this track.